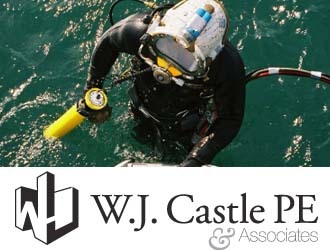 The Castle Group combines the knowledge and design skill of a leading edge marine engineering company with the practical know-how of an underwater contractor. From underwater design and analysis to bridge construction to repair and consultation, The Castle Group offers comprehensive and cost-effective solutions. The Castle Group is as innovative in our corporate structure as we are in our designs. William J. Castle PE & Associates, founded in 1983, are a structural/civil engineering company. We provide structural designs, underwater inspection services, testing, and more. 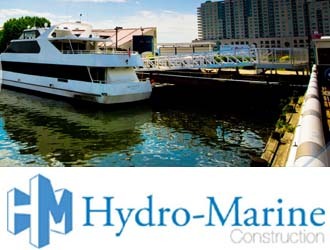 Founded in 1997, Hydro-Marine Construction has enabled The Castle Group to provide construction and design/build services using our own personnel. 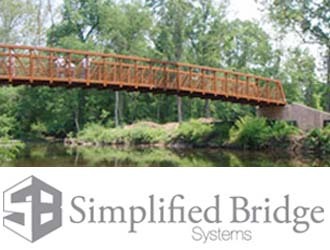 Established in 2001, Simplified Bridge Systems designs and builds customized prefabricated bridge systems, then delivers and installs them on-site. The result is a marine engineering firm informed by real-world dynamics, and a marine construction company that can draw on the expertise of seasoned engineers. Based in Philadelphia Pennsylvania but servicing the Northeast and the entire United States, we’re ready to contribute to your next project. W.J. Castle is a certified SBE and VOSB and Hydro-Marine is a WBE.